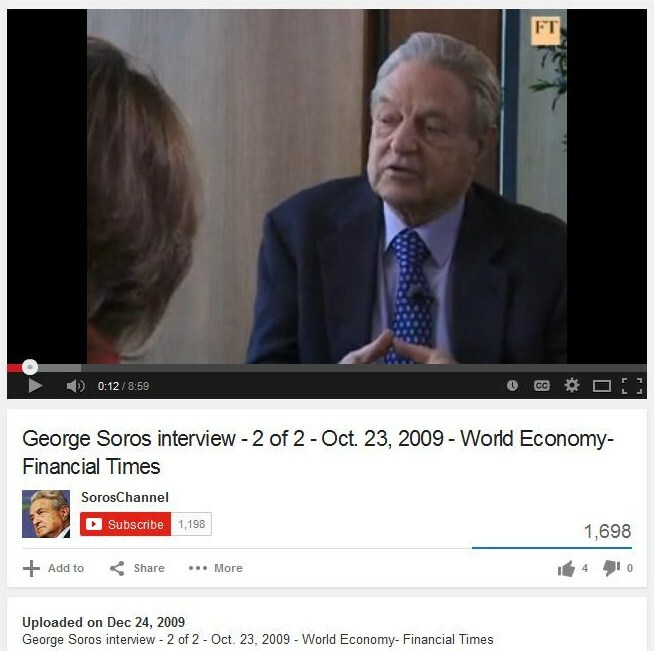 This entry was posted in Globalist Agenda Watch 2015, NWO, Paul Craig Roberts on December 13, 2015 by kenneth. I’ve been in “shut up and watch” mode for the past day so I could catch a whiff of how the globalists will play the inevitable Greek switchover to the BRICS. It’s now clear to me what they intend to do. The “evil American Empire” will be seen staging a pro-EU color revolution / military coup in Greece, with the possibility of an assassination or two thrown in. EU-friendly officers in the military will support the revolution, but it will be ultimately defeated by the “patriotic” (and pro-Russian) Defense Minister Panos Kammenos and military officers who are “loyal to the will of the people as it was expressed in the referendum.” Needless to say, it’s all theater. Since the BRICS represent the actual New World Order, there is no possibility that the “evil American Empire” will prevent Greece from joining them. On the surface level, the article declares that “the ‘Greek debt crisis’ is now contained,” but the actual purpose of the piece is to introduce an idea into the minds of its readers. This is the idea: Washington will do anything, including “overthrow or assassination,” to keep the Greeks as “vassals” and prevent them from cozying up to the Russians. And the unspoken implication of that idea is this: if the EU and Greece fail to come to terms like Washington demands, Washington will follow through on their threats of overthrow/assassination to keep their “empire” from collapsing. >>> Washington’s geopolitical strategy when bullying fails is either assassinating independent leaders, color revolutions, military coups or naked aggression. 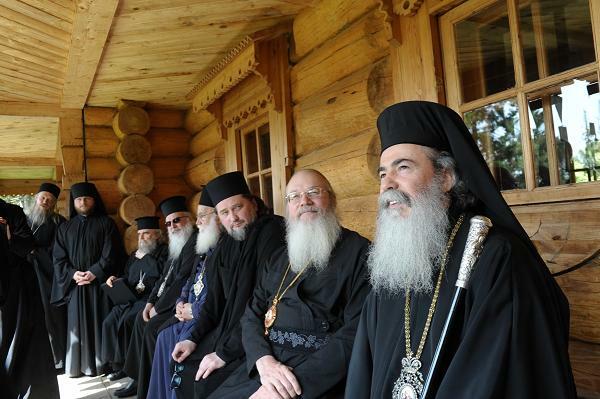 So the Greek Church is in cahoots with the US and EU against Russia, eh? This is a much more interesting claim than it might appear on the surface. Greek Prime Minister Alexis Tsipras is a well-known atheist (which puts him at odds with the Church in the public eye), and Greek Defense Minister Panos Kammenos (who would be a central figure in any Greek civil war) is a devout Orthodox Christian who has won the Grand Cross of Merit and the Medal of Honor from the Church. 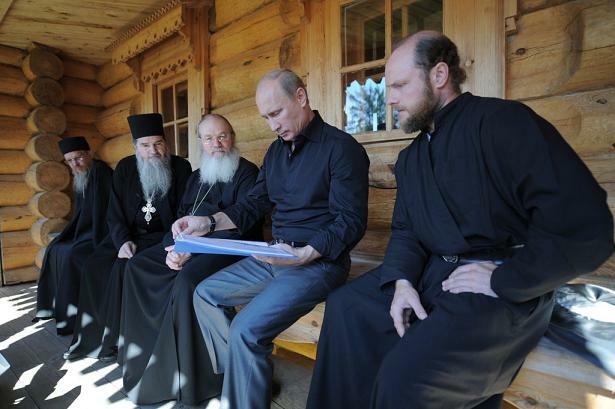 So on the Left Hand, you have a “godless communist/socialist,” and on the Right Hand, you have a reverent choir boy. Watching how the Church replaces the Left Hand with the Right Hand will offer an excellent case study in the dialectic strategy always used by the Occulted Powers (the “royal” families and two Roman churches that operate above the governments and behind the scenes). 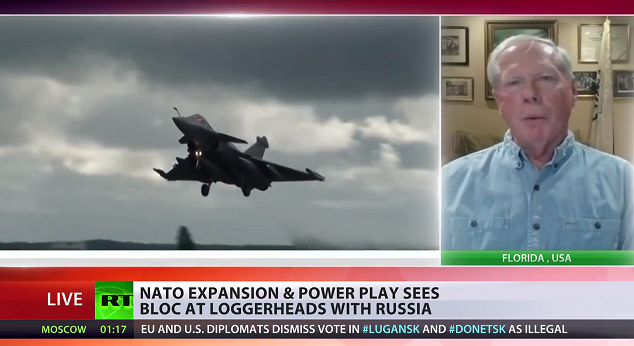 By having the “evil American Empire” attempt a pro-EU “regime change” in Greece, then having pro-Russian Panos Kammenos defeat it, the OPs get exactly what they want: the “heroic and good” BRICS New World Order turning the tide against the “sneaky and evil American Empire” / decoy New World Order. 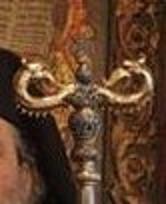 …Could such symbols be a nod to the Dragon bloodlines (the real or mythological products of mating between the “Sons of God / Elohim / Anunnaki” and humans)? Are these bloodlines the ones who are the Occulted Powers? 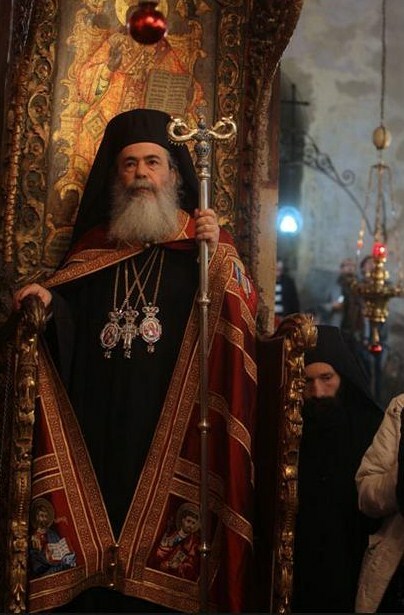 This is the Patriarch’s official title: “His Most Godly Beatitude, the Patriarch of the Holy City of Jerusalem and all Palestine, Syria, Arabia, beyond the Jordan River, Cana of Galilee, and Holy Zion, Theophilos III.” So his territory is basically the Levant, ISIS/ISIL’s stomping grounds, and it includes “Holy Zion.” Don’t you find that interesting in light of current events? >>> Concerns over Greece are not restricted to Syriza, but also to the leftwing party’s choice as coalition partner: nationalist party Independent Greeks (Anel), a party that has also taken a pro-Russian line, according to Ukrainian researcher Anton Shekhovtsov. 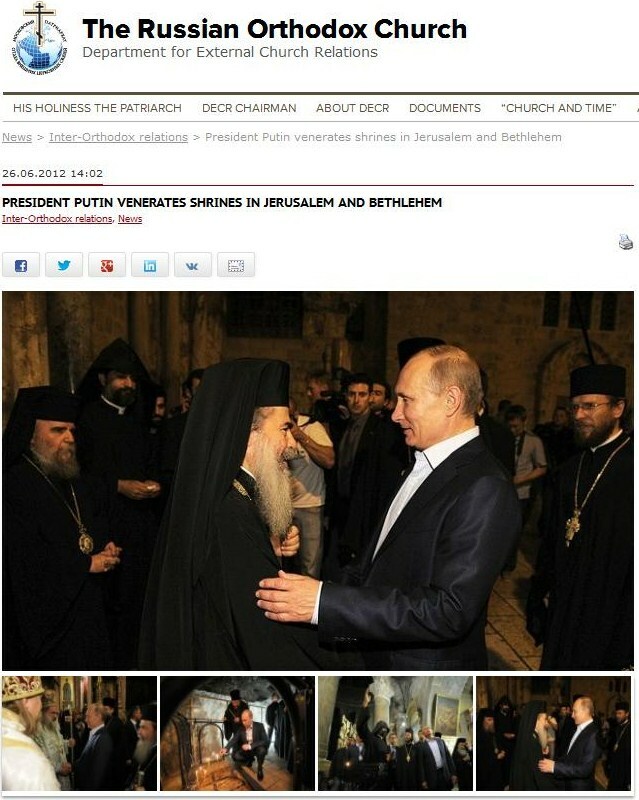 Panos Kammenos, founder of Anel and Greece’s new defence minister, was quoted in Greek media as saying in May 2014, in the aftermath of the annexation of Crimea, that “we publicly support President Putin and the Russian government who have protected our Orthodox brothers in Crimea”. Shekhovtsov revealed that Kammenos visited Moscow on January 15, 2015, at the peak of the fierce election campaign, to meet with Putin’s parliamentary allies in defence and foreign affairs. After the meetings, Kammenos declared his opposition to EU sanctions on Russia: “Anel is ready to create a European-wide group involving political forces from South European countries, the economy of which has been damaged as a result of the EU economic sanctions against Russia,” he said. “The aim of this group will be a reversal of this process that affects more the EU countries and less Russia,” he said, as quoted by Shekhovtsov. Getting back to the Lendman article, it features a ghost from revolutions past, Victoria Nuland. If you recall, Nuland became famous when the globalist intelligence agencies released one of her phone calls to the press (so everyone could clearly see the “evil West’s” hand in the Ukraine regime change). Seeing her surface in the Greek situation is meant to remind everyone of that. Her participation will help in selling the public on the West’s culpability in the upcoming Greek disorder. a) The Greeks’ new proposal to the Eurozone will be found wanting, and the EU leaders will decide to take drastic action on Sunday. b) The Greeks’ new proposal will be accepted by the Eurozone, but not by the Greek Parliament, and Syriza will fall into disarray. 2) The situation on the ground in Greece will get noticeably worse, and the pro-EU factions will make their move. 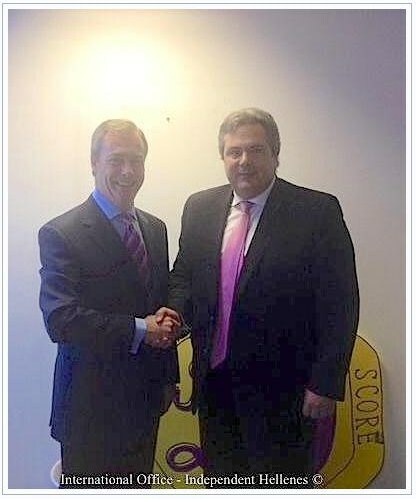 3) Panos Kammenos and his loyal generals will come out on top, and information will come out in the mainstream media that ties Washington and the EU to the uprising. Following this “attempt to thwart the democratically expressed will of the people,” Greek public sentiment will grow more favorable towards the East and the man who saved the day, Panos Kammenos. The Greeks will then make the BRICS switchover. Although Panos Kammenos is the top candidate to be “the man left standing” after the coup, any number of other Greek Ministers could take the role. As I’ve shown in previous updates, there is no shortage of Greek government officials who are spouting the BRICS propaganda line. >>> The Obama administration warned Europe on Wednesday that allowing a financial and economic meltdown in Greece would be a geopolitical mistake. U.S. Treasury Secretary Jack Lew said he has been in constant contact with European officials regarding Greece’s debt crisis, which threatens to compromise Europe’s monetary union and create instability in a region critical to U.S. interests. c) The Greeks’ new proposal will be accepted by the Eurozone and the Greek Parliament, and the betrayed public will rise up in anger. The current situation also allows for an entirely different outcome: the Eurozone and the Greek Parliament accept the deal, and the Greek people shrug their shoulders and slave on. This outcome would indicate that the globalists have gotten pee shy again and have shelved the Greek/BRICS scenario entirely. More watching / popcorn eating is indicated. >>> Defense Minister Panos Kammenos, who heads the government’s junior coalition member Independent Greeks, said he was advocating a vote in favor of the proposal even though it goes against his party’s principles. The party holds 13 seats in the 300-member parliament. That means the fix is in. It looks like the Greek Parliament will pass it. > The Greeks and the Eurozone must negotiate a final agreement. > The Greek Parliament and several other Eurozone parliaments must pass the final agreement. > And the whole thing has to happen without a big, fat Greek people’s rebellion. b) they backed off at the last minute due to excessive awareness of their plan. 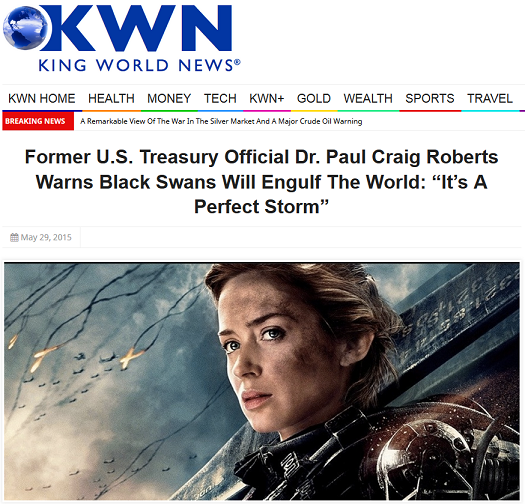 This entry was posted in Globalist Agenda Watch 2015, NWO, Paul Craig Roberts on July 9, 2015 by kenneth. …or was he just constipated that day? 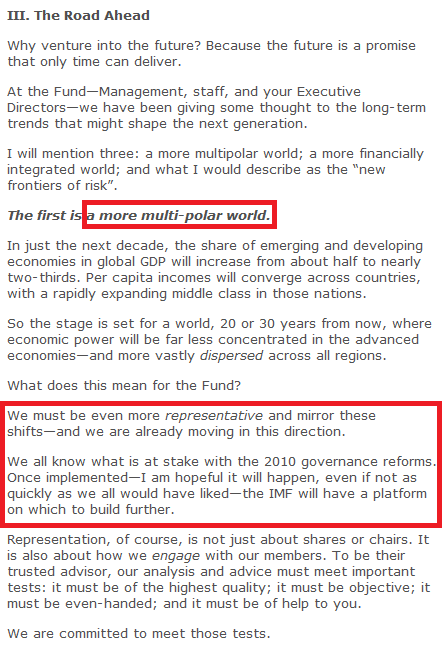 A world order that is “multilateral,” not unilateral? “A tomorrow in which developing countries wield more power,” not Washington? 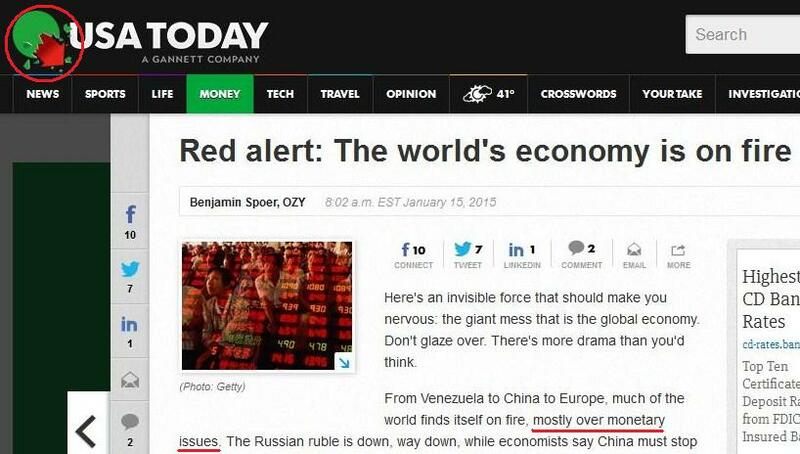 Hey, wait a minute… isn’t that exactly the kind of New World Order the BRICS are talking about? 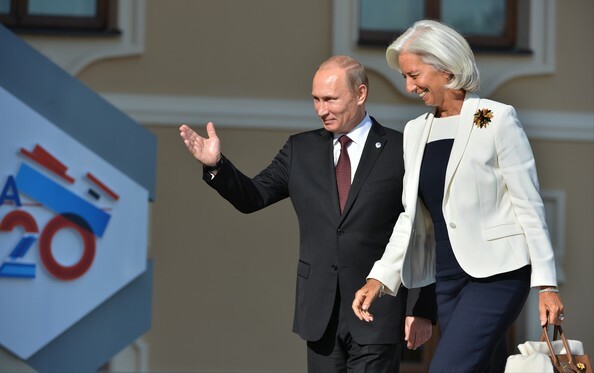 …the evil Lagarde and the messianic Putin, be talking about moving towards the same sort of New World Order? 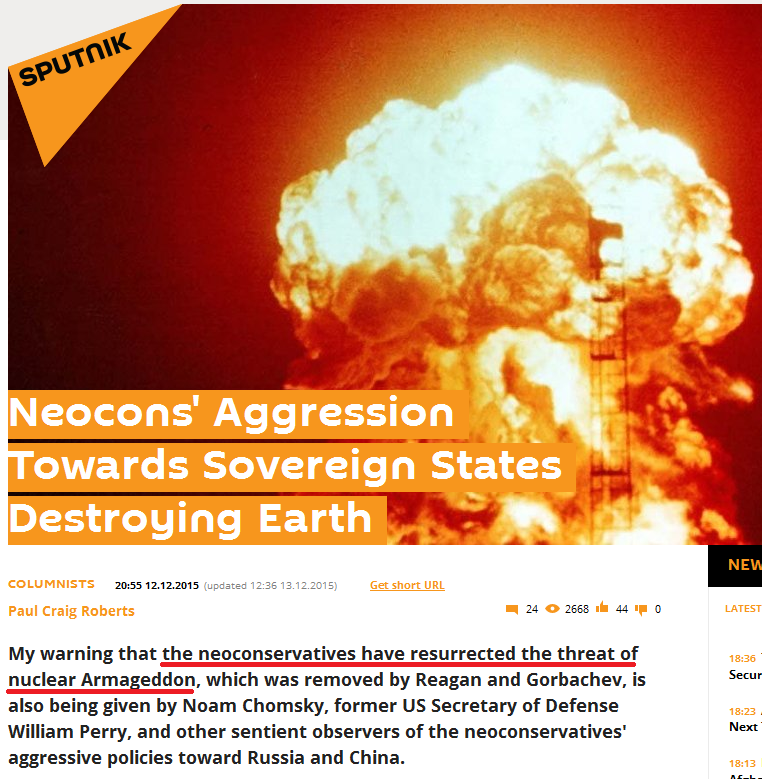 If you believe guys like Paul Craig Roberts, it doesn’t make much sense, does it? Bullsh*t never does. The IMF and the World Bank put nations into debt. So will the BRICS Bank and the Asian Infrastructure Investment Bank just hand out money as grants rather than loans? No, they too will put nations into debt. And whether you’re in debt to the Left Hand or the Right Hand, you’re still in debt, right? The only difference between these four globalist institutions are the nameplates on their doors and the brand images being manufactured by the media. This quote came from an entry on my old blog. You can find a repost of it on another site by following this link: David Wilcock and the Real NWO. Well whaddaya know! The media are reporting that Greece has 48 hours before things start getting ugly. That would bring us safely to Wednesday, and that’s the day the BRICS Summit starts. The Kremlin‘s spokesman Dmitry Peskov said earlier on Monday that Moscow would consider providing financial aid if Athens specifically requests it. (P.S. – 6 July 2015) – The media are now reporting that Greece will attend an emergency Euro Summit on Tuesday. 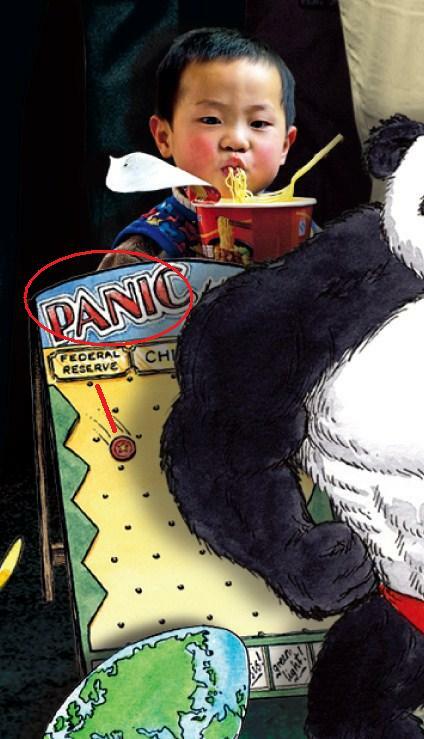 All this continuing talk of a deal between Greece and the Troika is being staged to keep people calm until the big surprise (Greece’s defection to the BRICS). It will also serve a propaganda purpose later on. As I’ve said so many times before, this is all just globalist theater, and they are writing the script for both sides. The G7 are globalists wearing black masks; the G5 (BRICS) are globalists wearing white masks. And they all belong to the G20, the economic steering committee of the real New World Order. “China is confident that Greece’s economy will turn around with the hard work of all parties, a deputy foreign minister said on Monday, but would not say if the Greek prime minister could attend an emerging powers summit later in the week in Russia…. Asked whether Greek Prime Minister Alexis Tsipras might come to this week’s summit of the BRICS group of five major emerging nations – Brazil, Russia, India, China and South Africa – Cheng said that as Russia was the host it was its decision on whether to invite other countries. 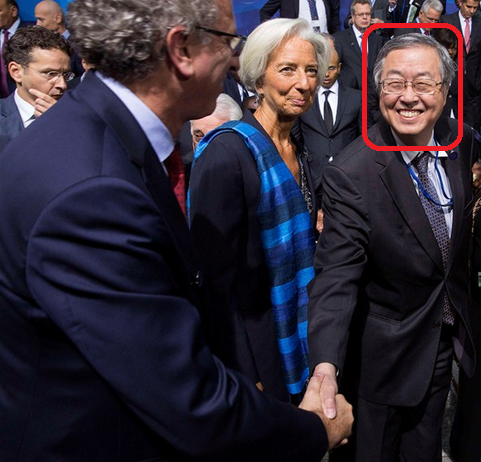 So the Chinese Minister is being coy and the Russian Minister is hiding behind technicalities: Russia may not have offered the Greeks a chance to become a member of the NDB, but what did NDB President Kamath offer Tsipras when the two met in St. Petersburg last month? 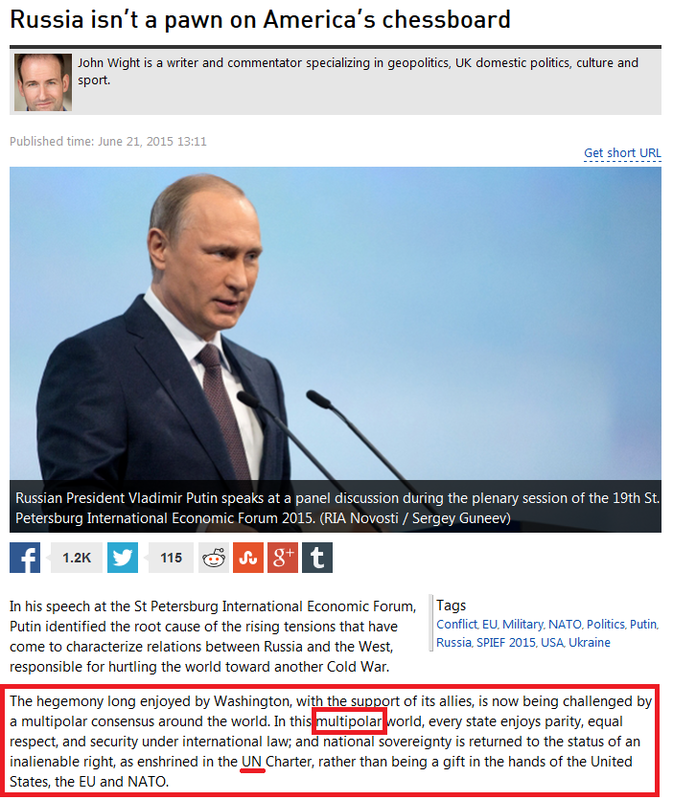 This entry was posted in Globalist Agenda Watch 2015, NWO, Paul Craig Roberts on July 5, 2015 by kenneth. …So Greece is a very symbolically appropriate place to begin a revolution to restore “true democracy,” don’t you think? So does the Central Banking Cabal. Bingo! 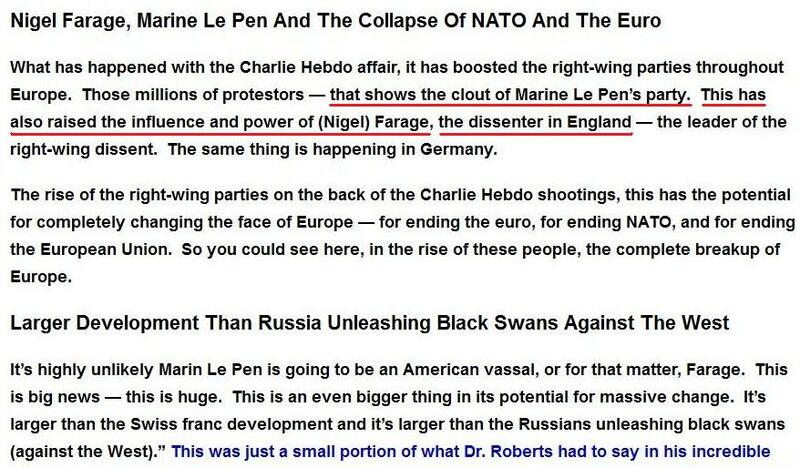 The entire Roberts article portrays the Western banks, the EU, and the US as insane, rapacious thugs from whom the rabbits must flee. And where should the rabbits run? To the BRICS of course. And what is this party implicitly threatening to do? Bring chaos and destruction to the existing post-WW2 economic and political order in Europe. This will create a vacuum into which “nationalistic” and “independence-minded” right wing parties can flow and bring order and construction (of the New Order). We will never get out of this trap as long as we look to co-opted political parties and globalist-controlled governmental structures as our saviors. Salvation lies in our own two hands, not theirs. For the previous update in this series, click here. 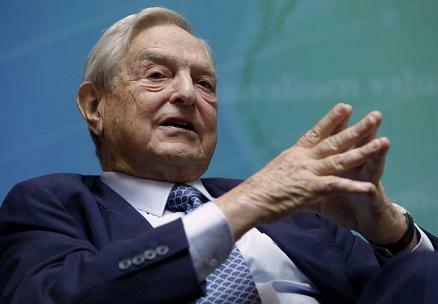 To see all the updates, visit the Globalist Agenda Watch category. 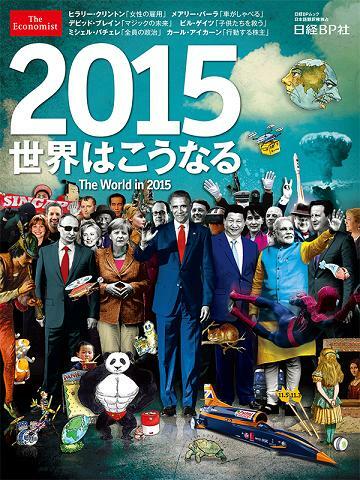 This entry was posted in Globalist Agenda Watch 2015, NWO, Paul Craig Roberts on January 30, 2015 by kenneth. If you’ve visited Zero Hedge this morning, you’ll know that the Swiss National Bank has made some sudden, unexpected changes in policy that have roiled the currency exchange markets as well as the Swiss export and tourism industries. So here we have yet another example of the Central Banking Cabal ripping off retail investors while simultaneously creating problems that can “only be solved by giving the Bank for International Settlements (BIS) more power over national central banks.” You can be certain that the central banksters and their traders were on the profitable side of the market moves this morning, because they, of course, knew what was coming. The international financial markets have never been anything but a rigged casino designed to extract wealth from the masses. So the SNB’s actions are supposedly a preemptive measure against the expectation that the European Central Bank will print more money. This, then, is a case of market turmoil created by national central banks working at cross-purposes, which is exactly what the BIS is using as justification for centralized supranational control. The Swiss National Bank’s cap on the franc at 1.20 per euro will remain its key monetary policy tool, the central bank’s vice-chairman said in a television interview broadcast on Monday. “We took stock of the situation less than a month ago, we looked again at all the parameters and we are convinced that the minimum exchange rate must remain the cornerstone of our monetary policy,” Jean-Pierre Danthine told RTS. Needless to say, the Fed will get it wrong. I’ve scanned both parts of the interview (here is Part 1), and they are chock full of reality checks for those who have bought-in to the East/West dialectic. I will be mining it for quotes and publishing a full article on its implications as soon as possible. For the first three installments of this series, click here. 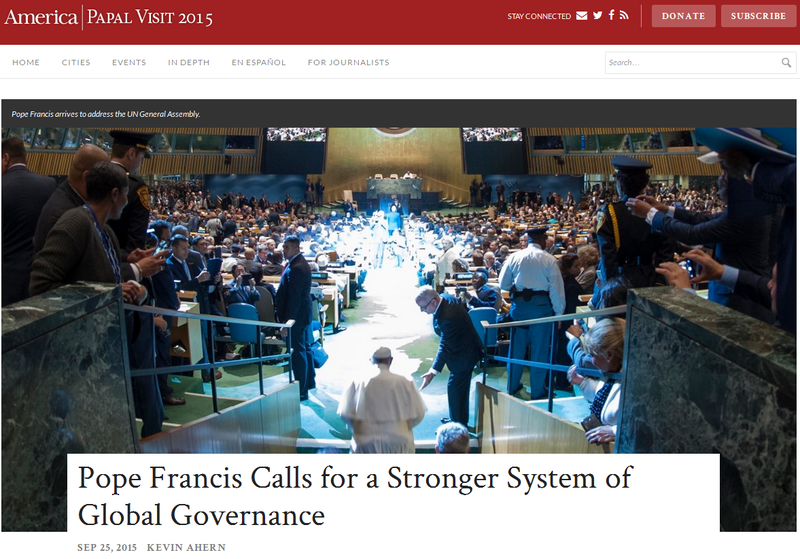 This entry was posted in Globalist Agenda Watch 2015, NWO, Paul Craig Roberts on January 15, 2015 by kenneth.